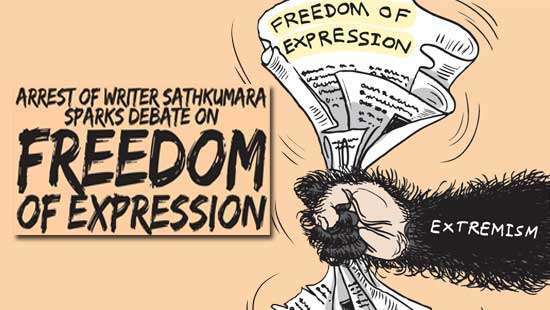 Police spokesman Ruwan Gunasekara said Police Chief Pujith Jayasundare was mulling legal action against a website that published defamatory remarks about him and a video clip depicting him threatening a minor employee of the Police department. The video clip that went viral on social media websites took centre stage at the weekly Cabinet news briefing today. The police spokesman tried his best to defend the Police Chief answering a barrage of questions from journalists. He also said the IGP would be taking legal action against the website for distorting and publishing the visuals in a defamatory and malicious manner. Journalist: Why did the IGP attack a lift operators without any provocation? SP: No, no, he never attacked him, only questioned him. J: The video shows the IGP holding the employee by his collar and nearly hitting him. What prompted the IGP to do that? SP: The Police Headquarters has allocated a few minutes for meditation after the national anthem is sung and before starting our duties. This man has not done that. J: For what purpose is meditation? J: Does it apply to all those at the Police HQ? J: In that case, is this the IGP maintains his mental tranquility and discipline? There is laughter at this response. J: What is this story involving an incidence of sexual harassment of a receptionist? SP: I don’t know really. Social media websites act in a malicious manner with vengeance. We are going to take legal action against this institution for defamation. There are 17 lawyers among police officers and they are reviewing this ugly episode and will take appropriate legal action. J: A recent UN report has said police torture is widely prevalent in Sri Lankan police stations. 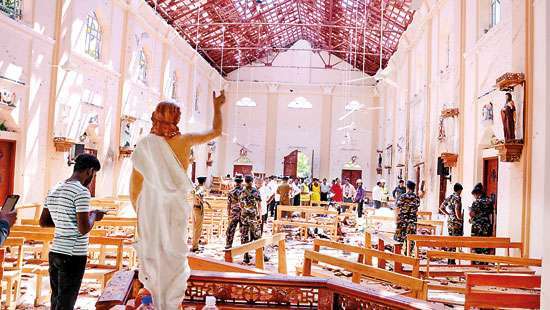 This incident will reflect badly on Sri Lanka and vindicates what the UN report says. SP: When the IGP was on his morning inspection round this employee was not there. J: This minor employee has complained about other incidents of harassment against him also. The latest syndrome spreading in Sri Lanka " I do not know". !!! If this brutal IGP is thinking about legal action against this noble website then this IGP is also a comedian in uniform. Oh! What A Tangled Web We Weave When First We Practice To Deceive - Sir Walter Scott. But here it has descended to a joke that is the IGP. Please don't make matters worse - The question and answer session speaks millions. Even the news (this night TV) the cabinet spokesmen (plural) were also voicing not so favourable opinions. let bygones be bygones. The details about this issue what we already heard, tallies with the answers you have given in response to the questions posed to you by these journalist gentlemen.We cannot understand as to why they are delving deep into this trivial matter which is completely concerning "Discipline" of the Police Dept. I feel it will affect the maintenance of high standard of discipline of their department when such matters are going on viral on social media in this a manner.We saw similar news published concerning the conduct of a head of one of the three Forces sometime back.Over to you journalist gentlemen!!! In this age we do not use physical force to ensure discipline. IGP should be first to know that - behave like a thug. Well done journos to expose this. Are you fooling yourself or fooling us? The attitude and behaviour of police and the forces deteriorated over the duration of the long civil war and took a nose dive to levels that we witness today during the tenure of the previous regime. Root and branch change now is a must. We don't have great Lawyers like in the past. This must be a new rule in SL to sue those expose inhuman behaviour. This guy as a public servant ought to apologize to the public for this behaviour to a sub-ordinates who are also public servants. 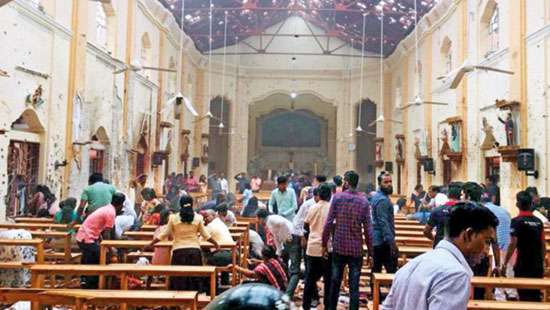 These poor people try to find a square meal for the families where as the IGP enjoys all the perks of the job along with other 'fringe benefits'! If he took legal action more he could be opening a can of worms on himself! Good luck. Litigation or not, you cannot hide the truth. 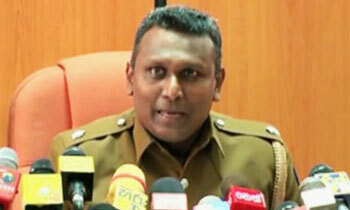 This IGP (Nilame) has done enough blunders to show people that he is a misfit to the position. The minister of Law and Order should give him a stern warning, as his despicable behaviour is tarnishing the current Government.